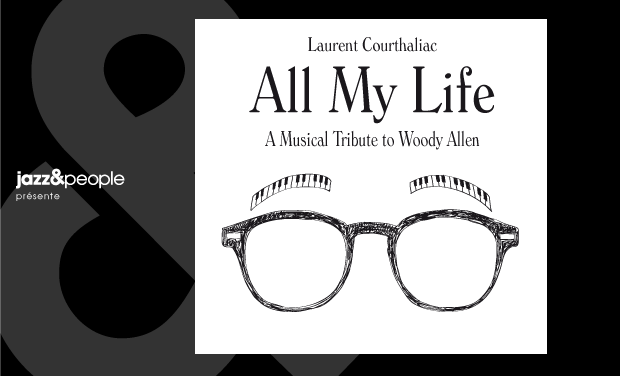 Laurent Courthaliac "All My Life, A Musical Tribute to Woody Allen"
Help fund the new album by pianist Laurent Courthaliac, a musical tribute to Woody Allen's movies and to his love for jazz! "ALL MY LIFE, A Musical Tribute to Woody Allen"
jazz&people, the first French fan funding platform for jazz music, invites you to contribute to pianist Laurent Courthaliac’s new album dedicated to Woody Allen’s cinema. We are all aware of Woody Allen’s love for jazz… It shapes his movies, it punctuates his comedies and illustrates his dramas, it sticks to his photography like it sticks to New York, the movie director’s home town. 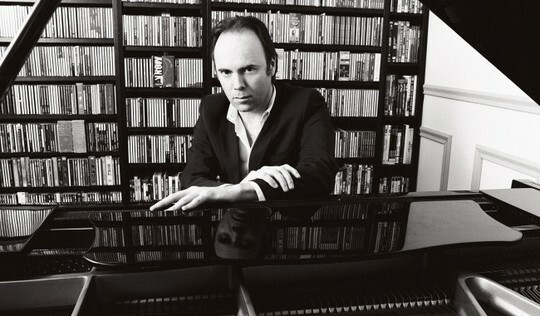 For the past fifteen years Laurent Courthaliac, an active jazz pianist on the scene, has been performing music from Woody Allen’s movies. These songs are everywhere in Mr Courthaliac’s repertoire and in the director’s films, one of the very few film-makers to tap into the tradition of the Great American Songbook to complement his pictures with music. These timeless songs, composed by George Gershwin, Cole Porter or Irving Berlin, have been studied and absorbed by Laurent Courthaliac with the same passion and accuracy that he manifests towards extending his culture as a cinema lover, rooted in pre-war Hollywood era. Laurent performs these songs every day like others would play their scales. Hence this album, conceived as a tribute to the movie director, to his musical background, to his love for songs and standards, which are so much at the core of his work. Manhattan (1979), a declaration of love to New York’s magic atmosphere, a movie that is bound to Gershwin’s music which adds some of its unique sense of drama to some of the most evocative sequences in the film... New York City, the birthplace of be-bop, the language of Modern Jazz, which Laurent Courthaliac studied and mastered next to legendary figures such as pianist Barry Harris. 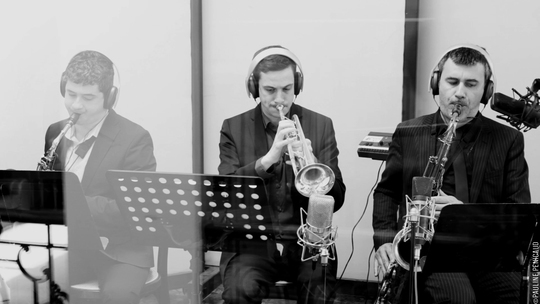 It is also where Laurent has developed many musical affinities and friendships that manifest throughout this recording. Everyone Says 'I Love You' (1996), Woody Allen’s only Musical, a tribute from the director to a unique genre in American culture that heavily contributed to the jazz standard repertoire. In this movie, which takes place in Paris and whose title derives from a song by the Marx Brothers, Laurent Courthaliac discovered the delightful All My Life that gave this album its title. Indeed, there are not many musicians that devote themselves to such a difficult art form, which requires both a very sophisticated harmonic language and a merciless sense of swing. “Barloyd,” his nickname in the jazz world, is among these rare experts. In 2008, the pianist appeared on Brewin’ the Blues (Plus Loin Music), recorded as a duo with singer Elisabeth Kontomanou, in which he displays not only his beautiful knowledge of the American Songbook, but also his talents as an accompanist worthy of his idols, pianists Tommy Flanagan and Hank Jones. More recently, he released a tribute album to baroness Pannonica de Koenigswarter, muse of beboppers, featuring the legendary Ron Carter on bass. After having released two albums in a trio format and one album of standards with Elizabeth Kontomanou, Laurent Courthaliac envisioned this recording in a more orchestral shape. He placed his piano at the center of an eight-piece orchestra, an ideal configuration to combine precise arrangements with the soloists’ inspiration, in order to bring to each chart the swing and the energy of improvisation. Relying on an impressive line-up of bebop musicians from Paris and New York, Laurent Courthaliac remodels the story of his love for cinema, setting up a musical scene for well-known and overlooked melodies. Narrating once again his love for Bud Powell and Duke Ellington, Laurent Courthaliac’s piano stands out of these subtly orchestrated sceneries with both assertiveness and elegance. Recorded at Studio de Meudon in April 2015. Follow Laurent Courthaliac on Facebook. At this point, the album has been recorded and mixed. However, one final step needs to happen before this music sees the light. That's why we are in need of your support. Developped by jazz journalist and exhibition curator Vincent Bessières, jazz&people is a breeding ground label that fosters projects by creative musicians and helps them grow relying on crowdfunding. This responsible approach favors a direct relationship between the artists and those who listen to them. This is the reason why we call upon your generosity. What will happen if we get more than 5000 euros at the end of this campaign ? Then we will have more means to better promote this music and make it more visible/audible. However if we do not reach our goal, we will not get a dime! We offer many rewards that will allow you to help us achieve our goal according to your budget, from advance download of the music, physical CD with your name in the booklet to a private concert or various packages of CDs pairing 'All My Life' with some of Laurent's previous albums. In advance, we sincerely thank you for your interest and most of all, for your support. But We need Artists the most. A download of the album, pre-release. A physical copy of the album, pre-released. A High Definition download of the album (“Studio Masters” 24-bit) + the digital version of the booklet, with your name credited in the thank you notes. A pre-released physical copy of the album signed by the artist + your name credited in the thank you notes. Pack CD + HD: a physical copy of the album + a high definition download of the album (“Studio Masters” 24-bit) + your name cedited in the thank you notes. Two CDs Pack #2: a pre-released physical copy of “All My Life” + a physical copy of “Pannonica” + your name credited in the thank you notes. Pack LIVE: a pre-released physical copy of “All My Life” + an invitation to a concert by Laurent Courthaliac in a club (Paris) for one person + your name credited in the thank you notes. Pack Two CDs + LIVE: a pre-released physical copy of “All My Life” + a physical copy of “Pannonica” + an invitation to a concert by Laurent Courthaliac in a club (Paris) for one person + your name credited in the thank you notes. Pack Music Scores: a pre-released physical copy of “All My Life” + the full music sheets for octet + your name credited in the thank you notes. Pack Two CDs + LIVE x 2: a pre-released physical copy of “All My Life” + a physical copy of “Pannonica” + an invitation to a concert by Laurent Courthaliac in a club (Paris) for two persons + your name in the thank you notes. 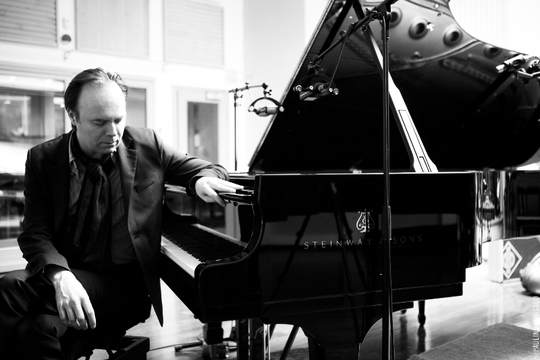 Pack Lesson: a pre-released physical copy of “All My Life” + a piano or improvisation lesson with Laurent Courthaliac on a Steinway piano (In Paris). Pack HAPPY FEW: a pre-released physical copy of “All My Life” + an invitation to a private concert with Laurent Courthaliac on a Steinway piano for a small audience + your name in the thank you notes. Pack SOLO: a pre-released physical copy of “All My Life” with a personal dedication + a high definition download of the album (“Studio Masters” 24 bits, without compression) + a solo private concert (piano rental, accommodations and transportation not included in case it is outside of Paris) + your name in the thank you notes. Pack TRIO: a pre-released physical copy of “All My Life” with a personal dedication + a high definition download of the album (“Studio Masters” 24 bits, without compression) + a trio private concert (piano rental, accommodations and transportation not included in case it is outside of Paris) + your name in the thank you notes. Two CDs Pack #1: a pre-released physical copy of “All My Life” + a physical copy of “Brewin’ the Blues” duo album with Elizabeth Kontomanou + your name credited in the thank you notes.